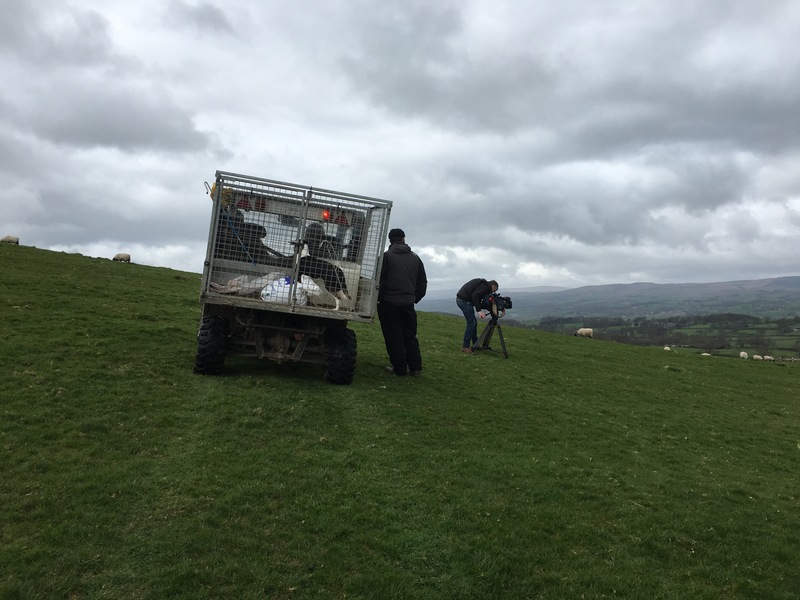 Last week (10/4/2017) ITV Granada came to our farm in Lancashire to film lambing, in particular the fell sheep. I got to meet some of the team, such as Jo Blythe (weather presenter) and Simon the cameraman! They were incredibly friendly and eager to get going. Filming started around 10am and we headed to the fields to get some outdoor footage before the rain started pouring. The photos above show Dad and Jo feeding the Swales whilst the cameraman and producer filmed. 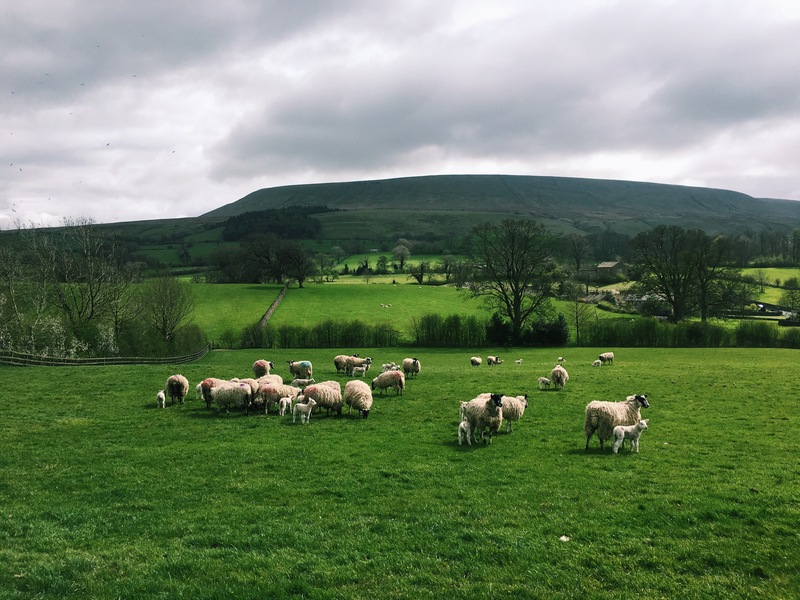 The sheep had just come off Pendle Hill (in the background) ready for lambing. 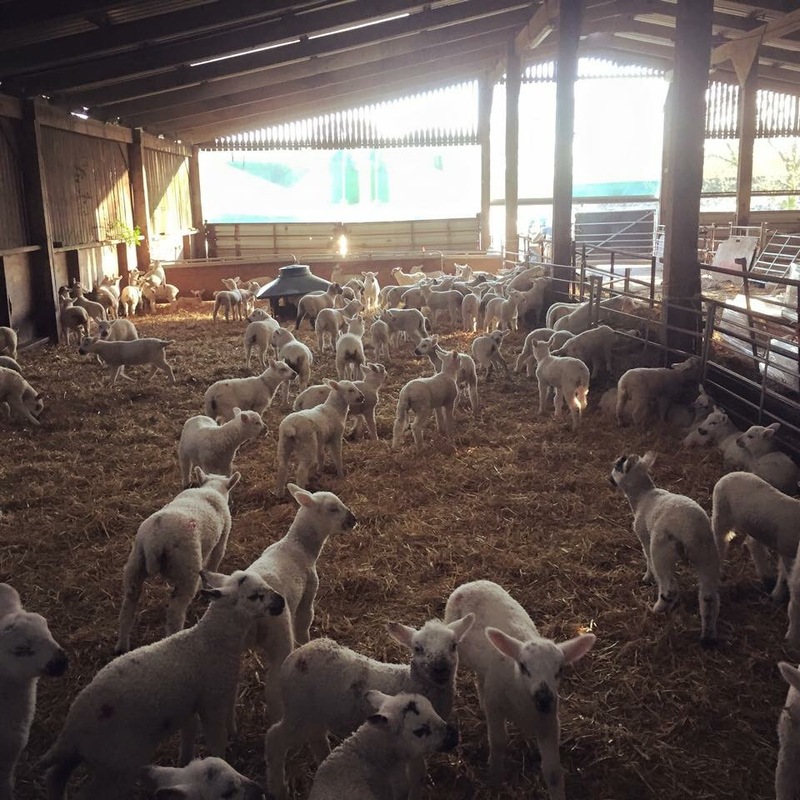 Seeing as we will be lambing them outside, they are moved to enclosed fields – this is so we can keep an eye on them and get involved should any problems occur. 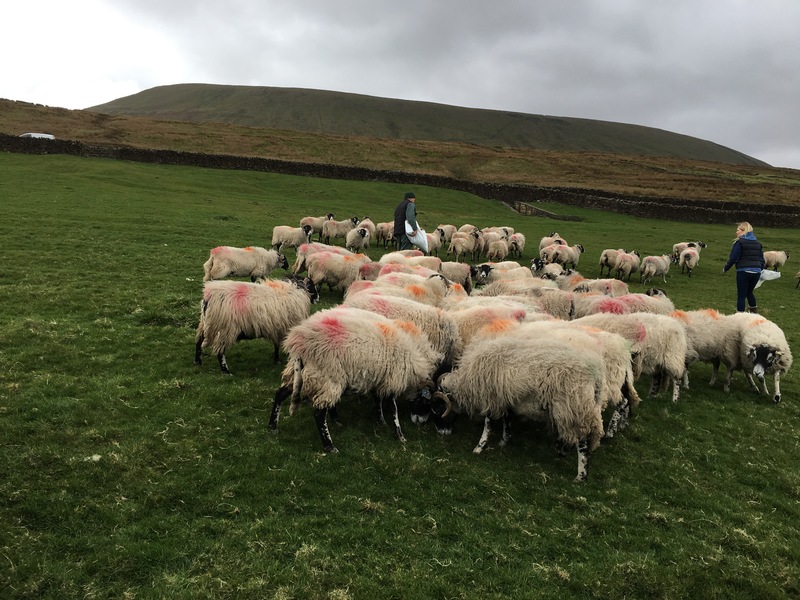 I enjoy seeing sheep lambing outside, especially the Swales, as they have their own technique – when they are starting to lamb they segregate themselves to the outset walls to give birth. Then, after a few days and when the lamb is strong enough, the sheep will gradually make their way back up the hill to join the others. It is amazing to watch. It was great to watch how they filmed the interview from different angles to get in a range of shots. After a quick brew, we headed back outside to go and see some mules and lambs a few weeks older. 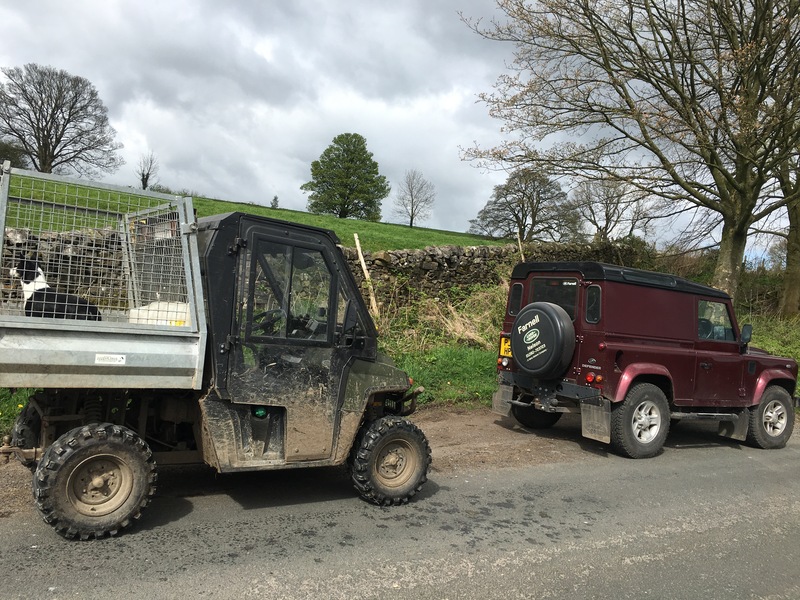 I drove Jo and the producer to Downham in my defender. Dad followed on behind with the camera man and Polly. Luckily the sun came out and the lambs were running around the field, enjoying the media attention. We spent a good 20 minutes watching them play as well as soak in the landscape, something we don’t often have chance to appreciate! Finally, we stopped off at the lambing shed. They were shown the milking machines and the many pet lambs that we look after (up to 200 so far!). We let Jo get into the pen and after a few minutes she was surrounded by nibbling curious lambs! She loved every minute. Apparently we should market it as ‘lamb therapy’ and charge £50 per hour. Who would be interested?! 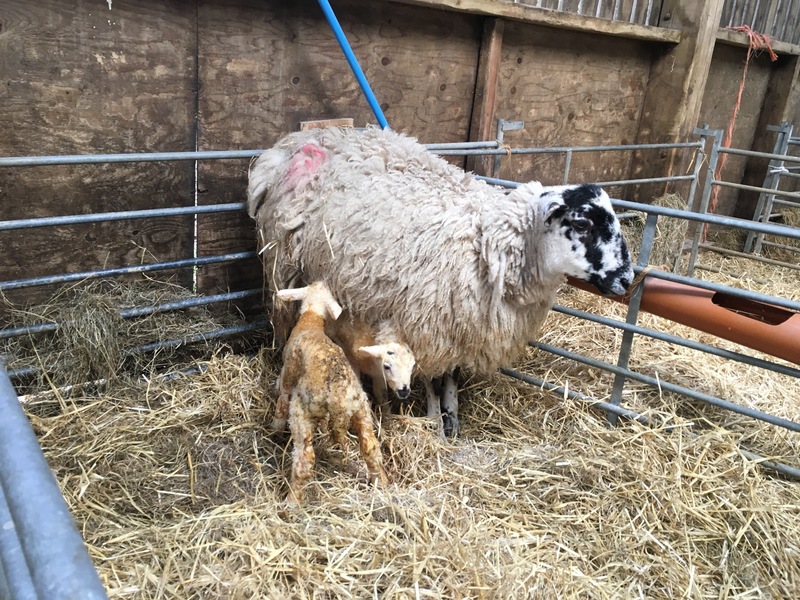 And as an extra bonus, a mule sheep had just lambed a healthy set of twins for the cameraman, demonstrating exactly just how busy and demanding lambing time is! 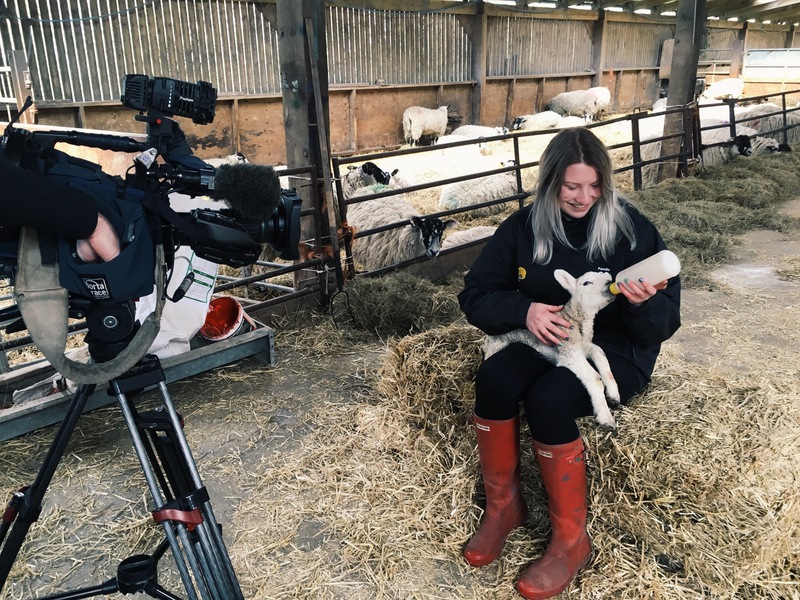 Whilst I didn’t actually get to be in front of the camera, I did teach Jo the correct way to bottle feed a lamb and had a lot of fun chatting about all things farm related. Me doing what I do best… bottle-feeding pet lambs! Overall I really enjoyed the day filming at the farm! It gave me an insight into tv film producing but most importantly, showcased the hard work farmers up and down the country are currently doing to viewers everywhere! I think it is important for young farmers like myself to raise awareness about the amazing work farmers do to tackle inaccurate misconceptions and myths about the industry floating around in the media and to highlight the hard work and pride we have for our livelihoods! After all, it’s not just a job, it’s a lifestyle! 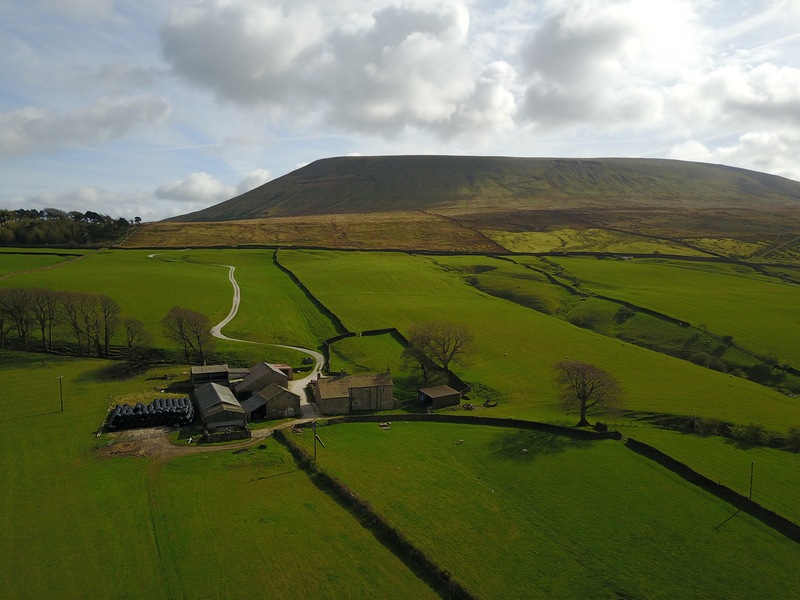 As a special thankyou, the cameraman took an aerial shot of some of our farm with his drone for us to keep. Tune in to ITV Granada on 8/5/17 @ 6PM to watch and let me know if you enjoyed it! What a fun experience! Your farm is stunning!